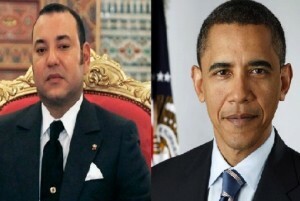 The meeting between President Barack Obama and King Mohammed VI on Friday at the White House takes place at a time of deep political reconfiguration in the Arab World. In this new regional order, Morocco has emerged stronger thanks to its political stability which is in sharp contrast with the chaos entailed by three years of unrest in the region. At the bilateral level, the meeting between Obama and Mohammed VI also comes at a time of appeasement in relations between the two allies after the brief misunderstanding of last April, which was about to create a chill between Rabat and Washington. At that time, Morocco had responded firmly to a draft resolution tabled by the U.S. ambassador to the United Nations proposing to expand the prerogatives of the MINURSO to human rights monitoring in Western Sahara. It soon became clear that pro-Algeria U.S. lobbies were behind this maneuver, which was obviously meant to embarrass Morocco on the diplomatic front. However, the direct intervention of King Mohammed VI in a phone call with Obama immediately cleared the atmosphere and the U.S. withdrew its draft. The maneuver that was seeking to strengthen the position of the Polisario, the Algeria-backed Sahrawi front, was thus foiled. Anyways, the Obama administration seems to have realized to what extent the issue of human rights in Western Sahara was being manipulated. Since then, the diplomatic misunderstanding has been cleared out and the two countries have carried on their traditional cooperation. In less than a decade, the United States were keen on underscoring the strategic nature of their relations with Morocco through at least three formal initiatives: first by designating Morocco as a major non-NATO ally, by signing a free trade agreement with the Kingdom, the first of its kind with an African country, and by launching a strategic dialogue with the North African country. These are all assets that will help the two countries and their partners in the region to address the serious threats of instability weighing on the Sahel-Sahara region. And on this specific issue, Washington knows that it can rely on Morocco’s deeply rooted cultural, economic and political ties with the countries of West and sub-Saharan Africa.